Five Common Estate Planning Mistakes | The Levin Law Firm - Philip Levin, Esq. In Pennsylvania, upon the attainment of age 18, individuals are considered an “adult” citizen, becoming responsible for their own personal, health care and financial decisions. Even one’s parents become strangers, in a legal sense, in the event of an incapacity. This same legal strangerhood status applies between spouses. As a result, every adult American, married or single, should appoint agents through properly drafted Durable Powers Of Attorney to make their personal, health care and financial decisions, in the event of their illness, injury or incapacity. Alternatively, a formal legal proceeding, known as a Guardianship hearing, involving at least two lawyers, plus a judge, may be required to appoint agents to make such decisions for your clients, with future ongoing supervision by the Court. And a Guardianship proceeding, along with the results which follow, can be rather expensive, restrictive, and invasive of a client’s privacy. As a parent of a 12 year old son, I can attest to the fact that, If we are blessed with children, then they are our most valuable assets. But what happens if a minor child is orphaned? Who would raise a child or children to adulthood and impart prudent morals and values to them? In most states, only through a Last Will & Testament can our clients appoint the appropriate guardians (i.e., back-up parents) for minor children. Alternatively, a formal legal proceeding may be required to appoint a guardian for a minor. Again, this legal process may be expensive and public, and there is no guarantee that a local judge will appoint the same individual that your client would have selected. When it comes to transferring all of our property and earthly possessions upon death, our clients can either make it easy on their loved ones, through proper estate planning, or they can leave it up to the probate court system by default. As I have shared with many of my clients, “If you do not have an estate plan, your family will inherit the State’s Plan”. Over the past 28 years in which I have worked as a trust and estate attorney, I have found that no client wants his or her property distributed in accordance with their state’s intestacy statute. Without exception, lifetime planning is the more efficient and effective option. Only through creating an up-to-date estate plan are clients able to ensure that their property distributes to the right party, at the right time and in the right manner. There are a variety of estate planning strategies to accomplish an orderly disposition of our clients’ property to their designated beneficiaries. Benjamin Franklin astutely observed that the only two certainties in life are Death & Taxes. And a Supreme Court Judge has stated that no taxpayer should pay more than his or her fair share in taxes. 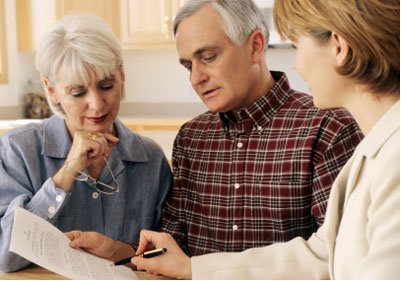 That said, an up-to-date estate plan, prepared by a competent estate planning attorney, can save your clients hundreds of thousands of dollars from unnecessary transfer taxes and administrative expenses. If your clients are married, their estate plan can be arranged to take full advantage of the available estate tax exemption next year, and in future years, through a combination of proper ownership of assets, combined with implementing effective planning strategies designed to maximize the distribution of property to selected beneficiaries. Nobody values the worth of a dollar as much as the person who earned it, and paid income taxes on it. Therefore, my experience reveals that careful consideration should be given to protecting and preserving an inheritance from squandering it away, or the many misfortunes of life that your clients’ beneficiaries might confront. This can be accomplished through flexible trust planning techniques, designed to ensure that your clients’ property passes to the right person at the right time. Properly structured, trusts are infinitely more effective, when compared to an outright distribution of property, since a flexible trust can protect and preserve an inheritance for one or more generations. A trust is also a very effective technique to insulate an inheritance from being squandered away, or lost as a result of a divorce, adverse judgment from a lawsuit and as a result of a bankruptcy. Bottom Line: Without proper estate planning, a lifetime of thrift and prudent investments can disappear in a season of conspicuous consumption, or through a multitude of personal misfortunes that can be encountered by a beneficiary. It is not easy to face our own mortality, and that is why the majority of adult Americans do not have a Will or any estate planning documents. More specifically, over 65% of our clients lack even a basic Will, or they have outdated plans that no longer meet their personal circumstances and financial needs. As a result, these otherwise responsible adults may leave a legacy of unnecessary pain and conflict for their loved ones, instead of a lasting legacy for their family and selected charitable organizations. Please contact The Levin Law Firm at (610) 977-2443 to arrange a Complimentary Consultation for your selected clients in order to help them ensure that their property passes to whom they want, how they want, and when they want, in the most tax-efficient manner.